invest their money into stocks, bonds, real estate or even starting a new business.Can wait to here what you think about that new one, please comment below or visit my PCH Fan Facebook page. Winner selection for their upcoming prize event, and they’ve already started planning for delivery day on August 31st. You know that all these people at PCH are working hard everyday to make the winners life magical with those great prizes. People like Deborah Holland, Danielle Lam(Prize Patrol spokesperson seen on TV) and many others. 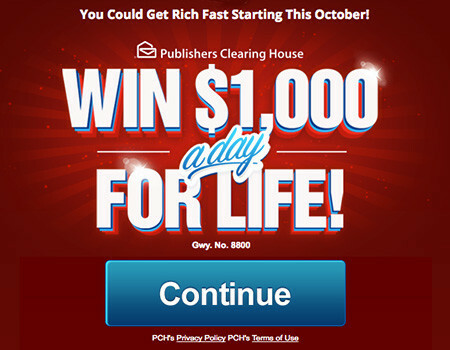 PCH.com Win $1,000.00 a Day for Life! by the entry deadline! ACT NOW to initiate with PCH Search and Win Search Engine for a chance to win with this new Publishers Clearing House Summer 2018 Sweepstakes. 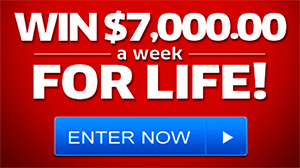 www.pch.com $1,000 a Day for Life Sweepstakes and follow the on-screen instructions to enter that sweepstakes. You could Win $1000 a DAY for LIFE. That’s a $1,000.00 Cash Check Day after day after day! One Thousand a Day for Life! Win It All. As stated on PCH.com Official Sweepstakes Rules here are the details:”All entries received by 11:59 P.M., ET, 8/28/18 from this Bulletin will be eligible for our up to $1,000.00 A-Day-For-Life SuperPrize® (Giveaway No. 11000), our $1,000,000.00 SuperPrize® (Giveaway No. 18000), a $25,000.00 prize (Giveaway No. 11475) and $10,000.00 from Giveaway No. 11936. To enter these Sweepstakes, complete the entry process. Upon timely entry, your assigned Prize Number(s) will be fully eligible to win. On days when you are eligible for multiple entries, multiple Prize Numbers will be assigned to you. Entries submitted from this Bulletin/Promotion after the deadline will be deemed invalid. Hello dear friends PCH. Please I would love to be the winner one day to see the prize patrol visit me one day. Thanks PCH l will really appreciate the opportunity. God bless. Hello PCH, l would like to win this $1,000.00 a day for life. Gwy no. 8800. Thanks PCH. It’s now 10:25 p.m., Sunday, 9 September 2017, and I would be so ecstatically happy to win the $1,000.00 per day, PCH No. 8800, plus the Bonus Prize $25,000.00, with 5X VIP Entries. I would buy a new car, pay all my debts in full, buy a small new home, new furniture, new clothes, computer, telephone, take a vacation, and appliances. I hope and pray God helps me to win. I am also praying for all the people in Texas and Florida who are losing everything due to the Hurricanes. God Bless All of Them. Thank You PCH for giving me this opportunity to try to win. I WOULD VERY MUCH LIKE TO WIN $10,000.00 CASH PRIZE FROM PCH GWY.NO. 9214 ON 9/20. I HEREBY CLAIM PCH WINNER NUMBER TO BE ATTACHED TO MY ENTRY. PCH SEARCH&WIN $1,000.00 A DAY FOR LIFE ON OCTOBER 13TH.,PCH GWY NO. 8800, WHEN PUBLISHERS CLEARING HOUSE TAKES A SPECIAL EARLY LOOK. I WILL LOOK FORWARD TO END UP ON THE WINNERS SELECTION LIST, AS I HAVE BEEN TRYING HARD TO WIN. winning $1,000.00 aday will not only make my day(s), but my years! YES! I want to win the $1,000.00 A Day For Life on October 13th! PCH Giveaway No. : 8800. But I would like to secure a Prize Number to win this prize. Yes I do hope that a Prize Number will be assigned to my after this search and be identified as a winner after this Prize Number has been processing my claim to this Prize Number. YES! I want to WIN on October 13th! I would like to win the 1 Thousand a day for life #8800 and any other . YES! I would like to WIN the $1,000.00 A Day For Life on October 13th PCH Giveaway No. : 8800. But I need to claim a Prize Number to be a Winner on October 13th. And also I would like to win the $10,000.00 CASH PRIZE PCH Giveaway No. : 9214. I want to win! And have the PCH Prize Patrol Elite Team to come to my front door with the “BIG CHECK” in hand On October 13th! And Let the Party Begin My front door is always OPEN to the PCH Prize Patrol Elite Team. would love to win such a generous prize & only to happy to share it . Yes Prize Patrol it’s me Rickey entering again to win on October 13th for Giveaway#8800; $1,000.00 a day for life. Yes I want to win and meet The Prize Patrol Team in Jacksonville Florida at the McBride house. Thanks again PCH and Prize Patrol God Bless. Yes I’m repeating myself because i want to win on October 13th. Thanks again PCH and Prize Patrol. Yes I want to win $1,000.00 TV Prize. Hoping to see you in Jacksonville Florida. I want to win big prize from pch #8800 thank pch very much!!! I would like a chance to win the Prize of a lifetime $1,000.00 A Day For life I would like to Activate my final step compliance thank u so much PCH for giving me a lifetime Prize opportunity for GWY NO.8800 ! I would love to win, it would enable me actually give those golden years that some people talk about. DAY FOR LIFE ON OCTOBER 13TH. VIP PCH Claim to Win PCHSearch&Win $1,000.00 A Day For Life ! PCH .GWY.No.8800 and A Bonus Prize $25,000.00 GWY. No.8802 on October 13 th. 2017 . Please Entyer my Prize Number in the prize Winners List ! God Bless PCH , God Bless Prize Patrol ! PCH CONFIRM ENTRIES ROY APPEL WANTS TO WIN ALL PP…..PCH Win $1,000.00 a Day for Life Sweepstakes … You could Win $1,000.00 a DAY for LIFE. That’s a $1,000.00 Cash Check Day after … THIS WOULD BLESSING NEEDED BY MY FAMILY > PLEASE CONSIDER ROY THANKS PRIZE PATROL. Would love to win something from PCH! Would be a true surprise! Thanks for the opportunity! Gwy No.8800 on October 13th. PCH Giveaways don’t let hurricane Irma scare you from coming to florida I live in the panhandle right next to alabama so winning the 1.000,00 a day from PCH Gwy no 8800 if a life time dream come true….WELCOME TO FLORIDA ! PCH I could really use the 1,000 a day for life, I need it for my mortgage, food, a Ramp to be build for me up front my house, I am 53 and on a walker and cane. I. Want. To. Enter. The. Gwy. No. 8800. 1,000.00. A. Day. All I ever see is tokens. I need to win CASH. Has anyone EVER won cash on ANY of the instant games? I am dubious because all I see are tokens. I have spent from 100 to as many as 3000 tokens on cash card offers and have yet to win. The oddsz must be astronomical. I would love to Claim Or Activate to Win $1,000.00 A Day For Life! PCH Gwy.No.8800. For the Gonzalez Family ‘s today 06September2017 RG. I am 60 years old to early for me to retire but I would be so pleased to win this prize, I could pay off my debt and live in PEACE for the rest of my life. this $1,000 Dollar a DAY FOR LIFE sweepstakes. i AM SEARCHING TO WIN $1,000.00 A DAY FOR LIFE, GWY 8800. THERE ARE SO MANY WANTING TO WIN, AND I AM ONE OF THEM. I would love to win PCH Gwy 8800, $1,000 a day for life on October 13th. I could clean up my financial problems and also help my family. Yes, I would love to win $1,000 a day for life from PCH. I could clean up my bills and help my family. Please, Please make me the winner of this PCH Gwy 8800. Thank you and God Bless PCH. PCH Prize Patrol please activate my entry , Thanks for the opportunity to win Big Prize and Bonus, $1.000.00 A Day for Life from PCH Gwy No.8800, plus Bonus $25.000.00 Cash Prize from PCH Gwy No 8202 PCH Special Early Look Event on October 13th, I Hope Prize Patrol come to my house with a Big check and cash Bonus. This is my entry to Win $1,000.00 A DAY FOR LIFE on 10/13. PCHGwy #8800. EXCLUSIVE] FROM PCH GWY,NO,8800 ON OCTOBER 13TH. I want to Claim my Entry to Win $1,000.00 A Day For Life! PCH Gwy.No.8800. Today 05September2017 RG. Yes Prize Patrol it’s me Rickey entering again to win on October 13th for Giveaway#8800; $1,000.00 a day for life and yes also entering again to win Giveaway# 8802; $25,000.00 Bonus. Yes I’m repeating myself because i want to win and meet The Prize Patrol Team in Jacksonville Florida at the McBride house on October 13th. Thanks again PCH and Prize Patrol God Bless. Yes I want to win on October 13th. Thanks again PCH and Prize Patrol. I AM ENTERING TO CLAIM & WIN PCH GWY NO.8800, $1,000.00 A DAY FOR THE REST OF MY LIFE. SHOULD I MAKE IT TO THE WINNERS SELECTION LIST, SHOULD I THEN HAVE A PCH NUMBER I WILL ALSO CLAIM THAT FOR A CHANCE TO WIN THE PRIZE. Enter my name in the contest of $1,000,00 a day for life , I understand the event will take place October 13th. PCH Giveaway #8800 Win $1,000 a day for life Sweepstakes smells good for me to have on October 13 of this year. I claim $1,000.00 A Day For Life and all that comes along with it. I am excited that this will come true. $1,000.00 A DAY FOR LIFE gwy#8800, I would love to Win. Getting closer each day to Oct. 13 to se who the winner of a thousand dollars a day will be. Still in hopes I will be the lucky one. Hello, PCH . I’m searching to claim my ownership of a fully valid prize award to win this $1,000.00 a week for life. Thanks a lot PCH. Yesssss, I want to win please activate my Search #1 to win $1.000.00 a Day for Life from PCH Gwy No 8800 Prize of Lifetime in this Special Early Look on October 13th, Thanks for the chance to win. Yes I would like to win $1,000.00 a day for life, It would really be a blessing to our family. Thank You PCH! I would love to win 1000,00 a day for life #8800 and thank pch. Please enter me for the PCH $1000.00 a day for life.. I want to win more than anything, I could do so much for myself and other family members!! I really want to win gwy 8800 1,000 a day for life. I can pay my bills and family and friends. Person to have the PCH PRIZE PATROL. 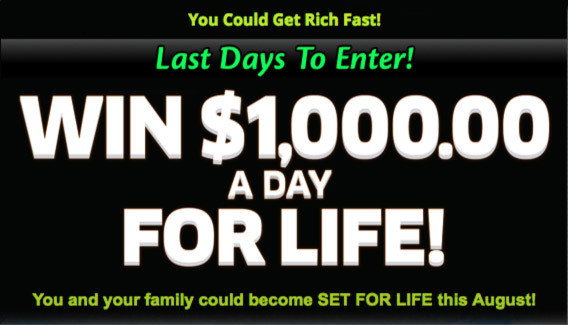 THIS MESSAGE KEEPS SHOWING I WOULD VERY MUCH LIKE TO WIN $1000.00 A DAY FOR LIFE BUT I AM NOT ORDERING ANYMORE. Dear PCH, l’m searching to enter , claim fully eligibility to win this $1,000.00 a day for life. Thanks PCH. To win would be a gift. LIFE FROM PCH GWY,NO,8800 AND YES I WANT MY NAME TO BE ON THE WINNER LIST. Yes, I want to win, Thanks for the opportunity to win increíble Prizes, I claim $1.000.00 a Day for Life from PCH Gwy No 8800, plus $1.000.000.00 SuperPrize from PCH Gwy No 8035, plus $25.000.00 Cash Prize from PCH Gwy No 8184 and $10.000.00 from PCH Gwy No 8187, in this Special Early Look Event on October 13th, I Hope to see this time to Prize Patrol Team come to my House with a many checks!!!! Win $1,000.00 a day for a life time , that’s for me. $1,000,00 A DAY FOR LIFE FROM PCH GWY,NO,8800. i JUST WOULD LIKE TO WIN AND HAVE A HAPPY DAY SO i CAN HELP mY CHILDREN AND TRAVEL SOME.WILL THIS HAPPEN THERE ARE SO MANY PEOPLE ENTERING IT WILL TAKE A MIRACLE BUT i STILL HOPE IT WILL HAPPEN. tHANK yOU FOR THE UPPORTUNITY. I need to win the 1 Thousand a day for life # 8800 its a lot more the i make now. I believe I will win PCH sweepstakes, I believe I believe I believe I gonna win big & keep on winning thank & god bless !!!!!! the gwy. No. 8800 & more…..
Clint Henderson September 4 2017 if there is one thing i would love to win is 1,000 a day for life. Yes, $1,000.00 a day for life. Thanks GWY # 8800. Looking forward for this prize. I want to Claim my Entry to Win $1,000.00 A Day For Life! PCH Gwy today for the Gonzalez ‘s Family 04September2017 RG. Want to claim Win for $1,000.00 a day for life….. I need help for pch, would love to be a winner. may some day. we will see. Hello dear PCH, l’m searching on this PCH Frontpage the home page of the win to take an actio as a PCH member to win this $1,000.00 a day fo life superprize Gwy no. 8800 . If l win . I love to pay off my bills. And start some business with it. Thanks PCH. YES! I would like to win and claim the $1,000.00 A Day For Life on October 13th! PCH Giveaway No. : 8800. I Would to Win $1,000.00 A Day For Life For the Gonzalez ‘s Family PCH Gwy#8800. Today 04September2017 RG. I would more than very highly appreciate it if I can just PLEASE WIN THE PCH $1,000.00 A DAY FOR LIFE ..I could be debit free of all my debts , buy me a brand new car , buy me a new home so that I could live more comfortable & not have to live into a small apartment. ( where you can’t have flowers , animals & have to live under a lot of very strict rules ). So I just pray & hope that I am the next big winner of October13 , 2017 .PLEASE PLEASE JUST LET IT BE ME (Aneta M.Trowbridge of Brownwood , Texas *****Thank You! I am searching to win the $1,000.00 A Day, GWY 8800. PCH, Yes I would love to be the winner of $1,000.00 a day for life. Thank You! FERMIN MARENGO FROM WEST MELBOURNE,FLORIDA. ONCE AGAIN, SUBMITTING THE REQUIRED REQUISITE TO WIN $1 THOUSAND DOLLARS A DAY FOR LIFE AS ADVERTISED BY PCH IN MY EMAIL PAGE TODAY IN GIVEAWAY NO. 8800. LET THIS BE THE OFFICIAL ENTRY TO WIN $1,000.00 A DAY FOR LIFE AND MAKE ME THE LUCKY WINNER OF THIS EXITING AND IMPORTANT GIVEAWAY BY PCH. PLEASE, MAKE THE LUCKY WINNER THIS SUMMER 2017. THANK YOU PCH! One more sentence i would like to add to my previous comment is…… i seriously want to win $1,000.00 A Day For Life! I could not miss all other wonderful prizes such as $1,000,000.00 Super Prize #8035, $25,000.00 Prize Gwy #8184,$10,000.00 Prize Gwy #8187 If it is still there,i want a brand new Lincoln MKZ, $3 Mil.for a dream home and etc., i admitted that i became so greedy this morning. It’s just a labor Day! I want to win gwy 8800 1,000 a day for life. I want to activate and claim prize number. Here i am,i really really want to win “$1,000.00 A Day For Life” before this season is over. I honestly want to believe in miracle and i could change my life forever! Winning is Sharing, and Sharing is Winning. Thank you! I would like to Win the $1,000.00 A DAY FOR LIFE. I would love to win $1,000.00 a day for life. looking forward to 13th Oct. to see who the lucky winner will be. Hope the prize patrol will show up on my door step on said date. I’m again looking for my chance to win the 1,000 a day for life prize from pch contest number 8800, thanks for keeping me informed. I want to win gwy 8800. I also want to activate and claim prize number. 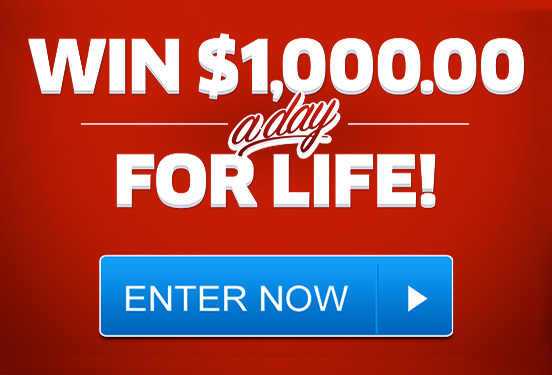 I want to win 1000.00 a day for life on October 13th! ELIGIBILITY TO WIN A $1,000,00 A DAY FOR LIFE FROM PCH GWY,NO,8800 ON OCTOBER 13TH. PCH $1,000,00 A Day for life to a WINNERS of the October 13th special early look from PCH Gwy No 88OO prompt attention to this matter is strongly encouraged why would you ever surrounded a pRize number that cloud soon mean $ 1,000.00 a day for life. YES! I would LOVE to win the $1,000.00 A Day For Life! PCH Giveaway No. : 8800. But first I need to request a Prize Number to be eligible to win the $1,000.00 A Day For Life on October 13th! Need a Good Number to be put in the Winner Selection Prize List. Yes Prize Patrol it’s me Rickey entering again to win on October 13th for Giveaway#8800; $1,000.00 a day for life. Yes I’m repeating myself because i want to win and meet The Prize Patrol Team in Jacksonville Florida at the McBride house on October 13th. Thanks again PCH and Prize Patrol God Bless. Yes I want to win and yes i will keep entering until i win. WOW! $1,000.00 a day for life. Yes I want to win.